I've been trying to think of perfect little after work out snacks for my fiance and I. That's when came across Dole's Frozen Chocolate Covered Bananas in the ice cream section in our grocery store and thought that would be such a perfect after workout snack. Bananas are great for you! Especially after a hard work out since they are packed with potassium. But for me I hate the texture of bananas but love the taste. Freezing the bananas gets rid of that soft mushy texture since they harden right up, plus they are covered in chocolate. 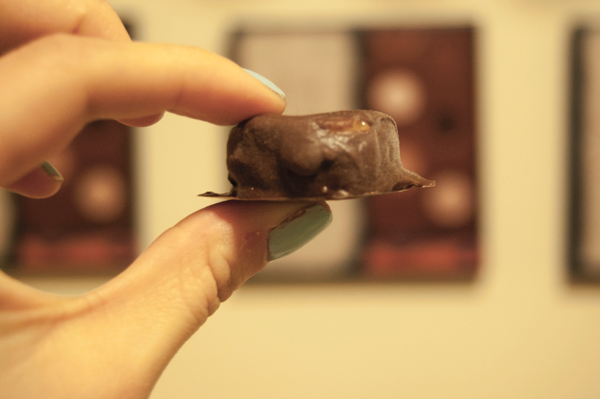 And how can you deny anything that is chocolate covered?! Expect the price of the Dole box is ridiculous especially when you think of many you get. Luckily for me my fiance loves bananas so buying a bundle of bananas isn't a total waste. So I figured I would try making my own with a couple of his bananas. They are super easy to make and can be made before your workout so that they are ready to be eaten afterwards. Step 1. I put my rip bananas in the fridge for a bit to chill them and to keep them from being too soft. I put them in the morning the day I was going to make them and took them out that afternoon, so a couple of hours should do the trick. Step 2. 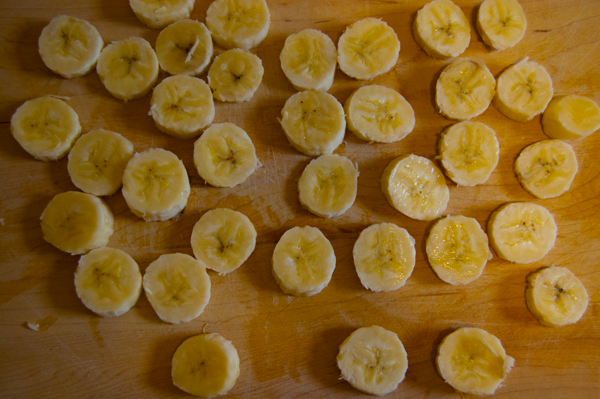 Peel and cut the bananas. Step 3. Prep a cooking sheet and place wax paper on top. Step 4. Melt your chocolate. 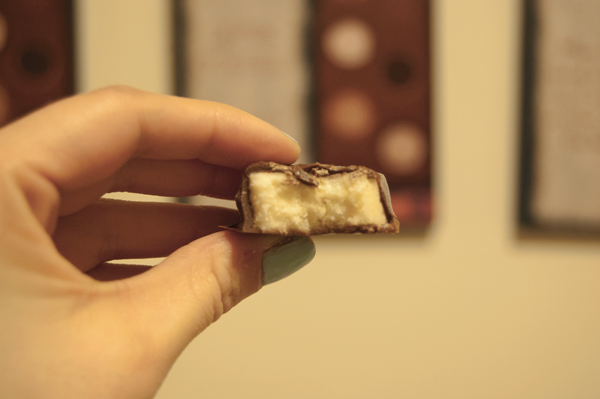 It's optional on how you choose to melt chocolate. If you use the chips you can do it in the mircowave or the stove. If you use a bar do it over the stove. 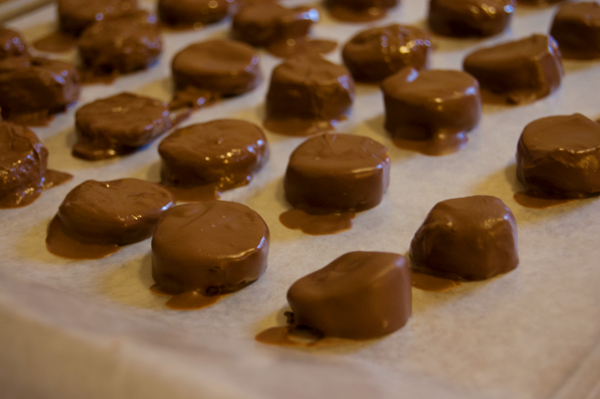 I always melt chocolate over the stove, its easier for me to manage. Step 5. 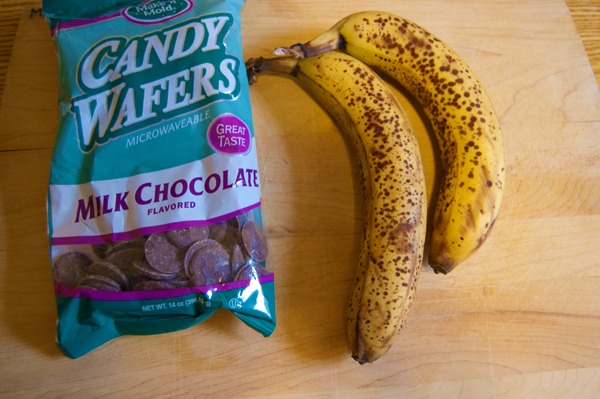 Once you got your chocolate all melted, dip your pieces of bananas into the chocolate. Work quickly, you don't want the bananas to sweat. Also if you are working over the stove you don't want to burn your chocolate. Step 6. 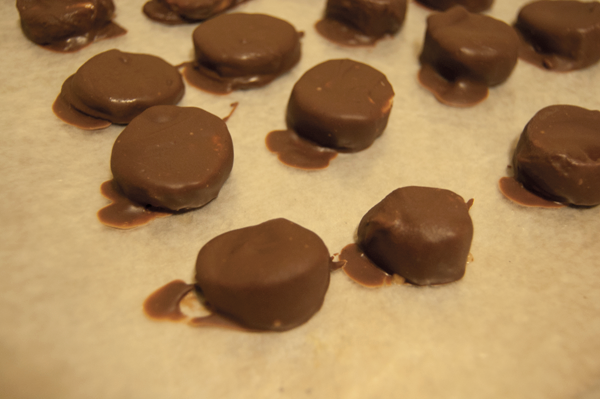 Place chocolate covered bananas pieces on your lined cooking sheet. Step 7. Once you have your bananas all covered place in the freezer. Step 8. Take out when your ready to eat! This little treat is perfect for kids to adults. It's something that can be served during the summer for a cool treat or you can even serve as a healthy little option at your Super Bowl Sunday Party. What do you think of this healthy snacking option? Oh yum, this looks damn good! !